Now, before you go all kinds of crazy on me and make a bee-line to your kitchen cabinet for that leftover bag of chocolate chips (and don’t act like you don’t sneak a few handfuls of chocolate chips every now and then ) allow me to explain. I’m talking about UNSWEETENED, UNPROCESSED, NATURAL cocoa powder. Cocoa is the brownish-colored powder left behind after cocoa butter has been completely removed from cocoa beans. Cocoa powder is also most popularly used for baking. You will find cocoa powder sold in stores in two different forms–natural and alkalized (also known as Dutch-processed). 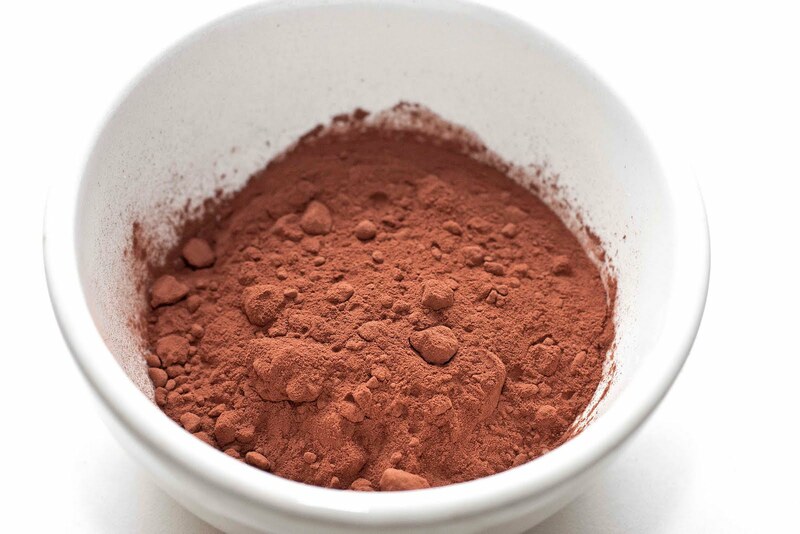 Natural, unprocessed cocoa powder is a light brown color and has not had anything added to the cocoa beans while being pressed. Alkalized cocoa powder is dark (almost reddish) in color and is much less bitter than natural cocoa powder. While this kind of cocoa is often alkalized to reduce its acidity and improve the taste, it’s best to buy the natural kind. The alkalizing process significantly reduces the beneficial amounts of healthy phenols and antioxidants present in the cocoa powder (an example of alkalized cocoa powder would be Hersey’s cocoa powder). I bet you didn’t know this guy was full of healthy, cocoa-y GOODNESS! It’s true! Cocoa powder packs some serious health-related benefits. In fact, its nutritional benefits are significant enough that they’ve been gaining a bevy of recognition from doctors, researchers, and dietitians alike–particularly in regards to cardiovascular and weight management advantages. YES. 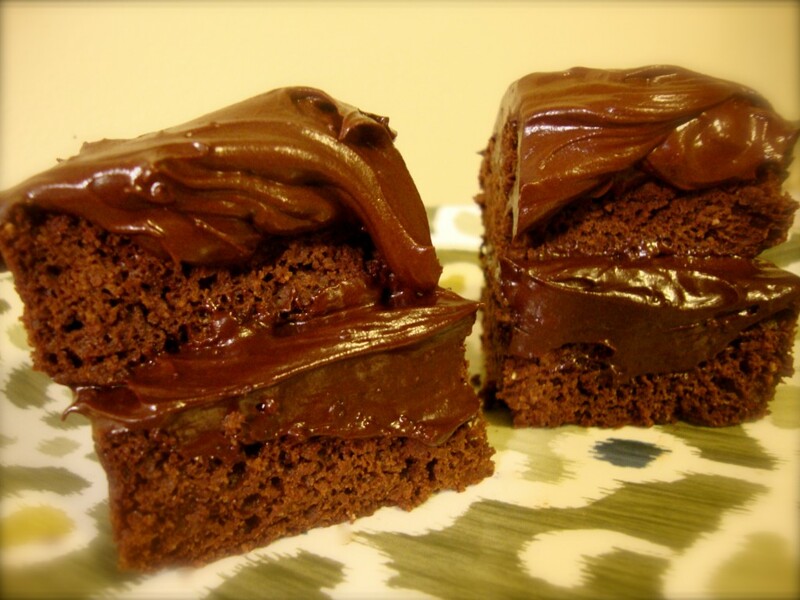 Cocoa powder is DIET-FRIENDLY! Just one tablespoon has 20 calories, 0.5 grams of fat, no added sugar, and 3 grams of carbohydrates–two grams of which are fiber. But that’s not all! Read below to check out all the other great benefits of this delicious ingredient. Just 20 calories in 1 tablespoon. High in fiber (2 grams per 1 tablespoon). Contains 10% of the daily required intake of manganese and copper. Rich in heart-healthy sterols and free-radical fighting antioxidants (most notably the antioxidant Flavan-3-ol). Contains more antioxidants than both green tea and red wine! Improves blood flow, which increases cognitive ability, lowers high blood pressure, reduces the risk of blood clots, decreases stress, and improves skin complexion. The presence of Phytosterols (also known as plant sterols) reduces cholesterol and improves heart health. Boosts mood due to the presence of phenethylamine (a neurotransmitter that acts as a natural antidepressant) and due to the subsequent release of serotonin following consumption. But you know what the BEST benefit of all is??? Chocolate is SO DARN DELICIOUS! And seeing as cocoa powder is already chock-full of health benefits, tossing it into a slimmed-up dessert is the perfect recipe for a completely delectable, yet totally guilt-free indulgence. 1/3 cup spelt flour (whole wheat flour will work to– but the cake may not be as light and fluffy). 2 tablespoons unsweetened, unprocessed, natural cocoa (I like the Trader Joe’s brand, but you can also find it at Whole Foods and online). Slightly under 1/2 teaspoon baking powder. 2-3 packets stevia (or 2 tablespoons organic, all-natural sugar or 3 teaspoons Truvia– feel free to play around with the amount depending upon how much of a sweet tooth you have). 1/4 cup plus 1 tablespoon almond milk. Preheat the oven to 330º. Mix all the dry ingredients in a bowl. Set aside. Add all the wet ingredients into a separate bowl. Warm the mixture in the microwave for 15 seconds (until coconut oil is melted). Combine the wet and dry ingredients, mixing just until smooth (do not over-mix). Pour into a small baking dish (sprayed with all-natural cooking spray). 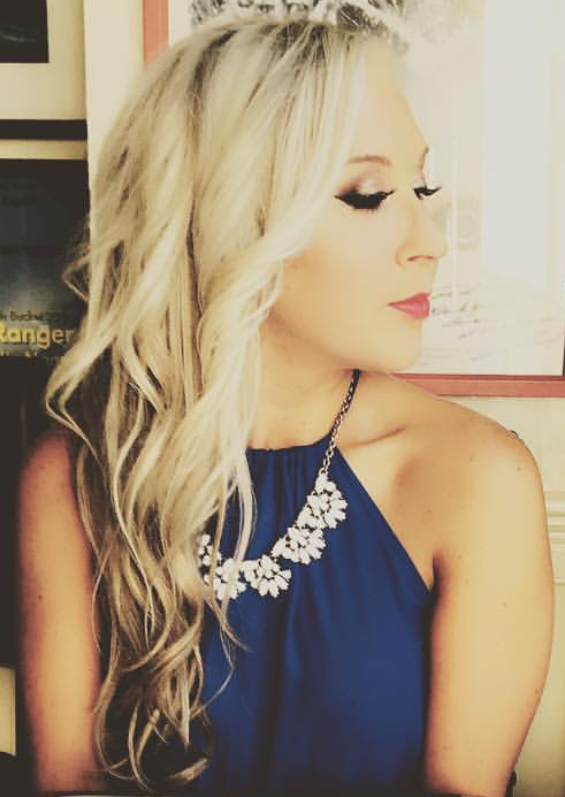 I use this one from Pier 1 Imports. Bake for 19-20 minutes (until the top of the cake begins to crack). Once cooled, pop out of the baking dish and cut in half. 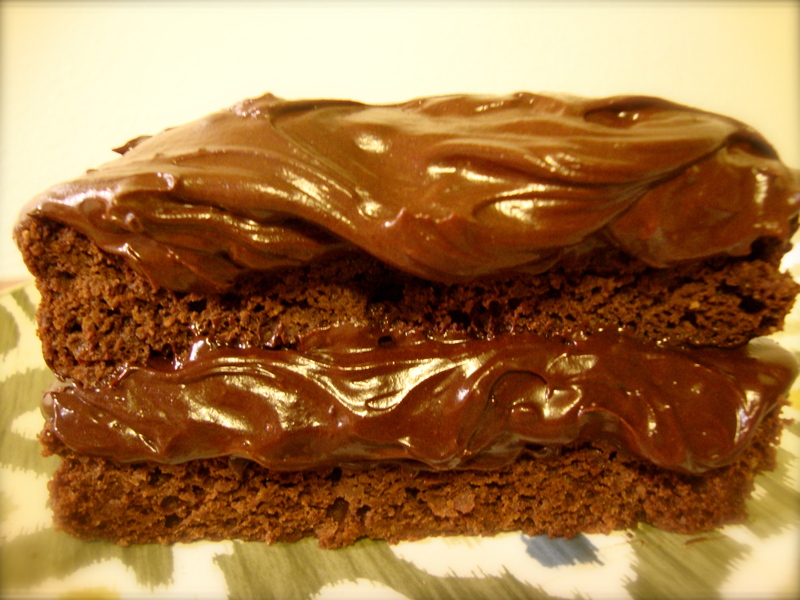 Slather in fudgy frosting on top and in between the two halves of cake to make a sandwich! 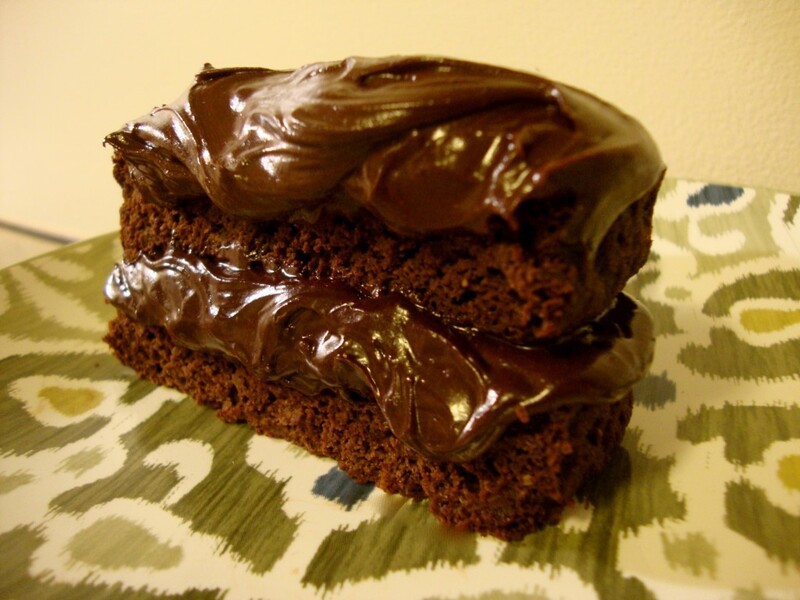 (See below for my fudgy frosting recipe). 1/2 cup all-natural, organic powdered sugar. 3 teaspoons of unsweetened almond milk. 1 and 1/2 teaspoons Earth Balance Buttery Spread (at room temperature). Optional: 1/4 teaspoon almond extract. Livestrong: Is Cocoa Powder Healthy? This entry was posted in Uncategorized, Vegan Recipes and tagged Chocolate cake, cocoa powder, healthy, healthy chocolate cake, Healthy Dessert, low fat chocolate frosting, low-calorie, low-fat chocolate cake, prettyfitlife, skinny desserts, vegan. Bookmark the permalink. OMG this looks incredible…can I put in a request now for when I’m in Boston?!? !